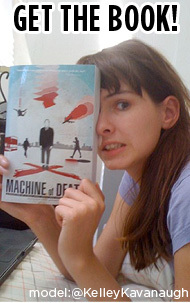 Machine of Death » Book previews! The day is here! Updates 25 Oct 2010 03:43 pm by David ! My submission didn’t make the cut, but that’s OK –I had fun writing it! Now, at last, I’m going to have even more fun reading the stories of those that did! Ordered my copy from Amazon just after 2 am (west coast USA), today (Oct. 26). Job well done, congrats to all! This is William Grallo, one of the authors. I saw you wanted to get in touch with me, so I sent you an email. Stoked for the book! Thank you! I would really, really encourage you to keep the illustrations for the e-book versions. I find the pictures on my Kindle to be not perfect, but decent. “Working writer”, me? Well – OK – translator. So, yes, definitely writing-related. 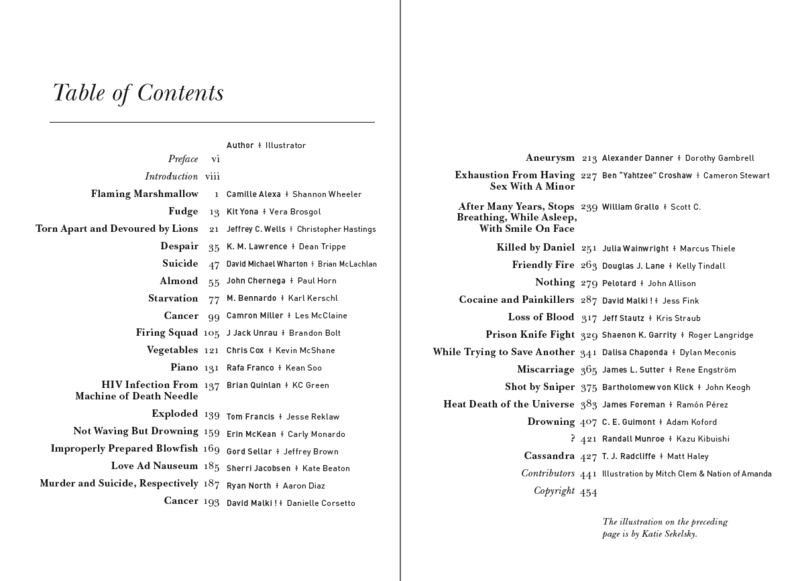 But this is the first time I get anything published that I wrote from scratch (in a paid market). If that post time of: 25 Jan 2007 at 7:24 am on my first post sticks, and if this one is dated correctly, the problem may have been ‘no-script’… it’s the only thing I can think of, and the only thing changed between my two posts. Gah! I want this, but the shipping alone is $8 to the UK. It’s already at number 12 though. Well done! I’ve just bought my dead-tree copy, and I’ll definitely take up the offer of a version for my kindle. 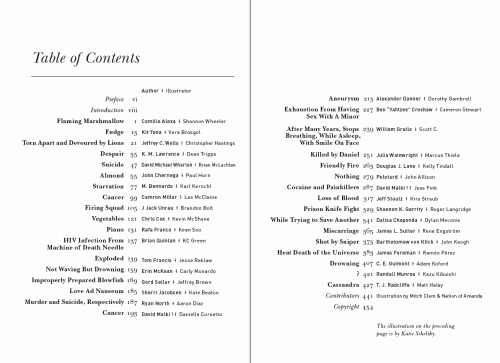 But I can’t stress enough how important it is to put the illustrations in the ebook as well. I’m perfectly aware that my Kindle’s screen isn’t a billion-colour HDTV behemoth; so I’m quite happy to get a best-effort conversion of the source material. But simply leaving out a chunk of the content because the creator ‘doesn’t think it looks good’ just comes across as lazy and inconsiderate. Ensured many of my friends pitched in and bought a copy. #5 in the best sellers list now, almost there! Just bought a physical copy for my boyfriend, though I hope there will eventually be a version compatible with my Nook. The PDF version will probably work. Haha, I see I’m not the first to come in saying it’s better to leave in the illustrations for a Kindle version, even if some details are lost. However, I think I’m the first to offer a demonstration. I took the four illustrations from the 40 page preview, shrunk them, lowered the palette (with dithering), and put them into a simple test file. As the Kindle by default forces borders they’re shrunk even more at first, but selecting them for the full-screen view brings them to the full size (that I shrunk them to). There are some blank pages between them, but the four are in there. We did it! Congrats guys! The goal was met, any chance we could get a sales number for Oct 26 in a few days when it’s figured out? Just forward the order confirmation email? I can remove a few details, right? Not that I don’t trust you… I’m just paranoid. Looks like a hilarious project. As I’m in Oz and you made #1 already, I’m going to hang out for the Kindle version. Please hurry!